A better way to resolve chargeback disputes is long overdue...but that doesn't mean change is easy. Fortunately, we created this informative guide to help with the transition. Download the explanations and actionable advice you need—all for free—exclusively from Chargebacks911! As a consumer protection device, the credit card chargeback system hasn’t changed much since its inception. Until recently, there wasn't much need: chargebacks worked as intended … but then, they were really only designed to be a safety net for cardholders. The invention of the internet and the rise of eCommerce, however, changed the entire retail environment. From the customer's perspective, the chargeback system has rapidly become less about protection and more about convenience. Cardholders have discovered that when a transaction goes wrong, filing a chargeback achieves the same (or better) results than asking for a refund. For merchants, fighting fraudulent chargebacks has traditionally been complex and time-consuming, with a limited chance of success. Visa is attempting to change that. 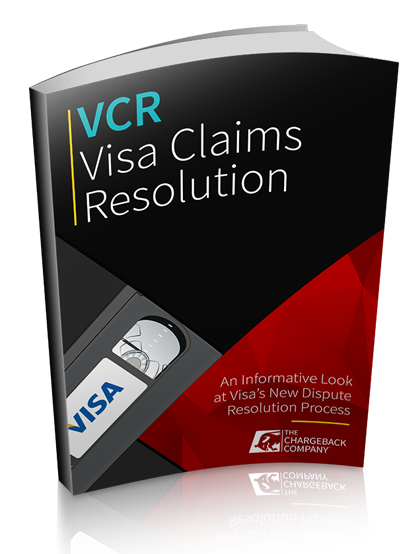 Their new Visa Claims Resolution initiative (VCR) streamlines and simplifies the entire process--which is good--but the changes are significant and potentially confusing. This guide outlines upcoming changes and explores what merchants can expect when the new rules go into effect. We'll start with a summary of the changes brought on by VCR, then delve into the different areas for more detail.